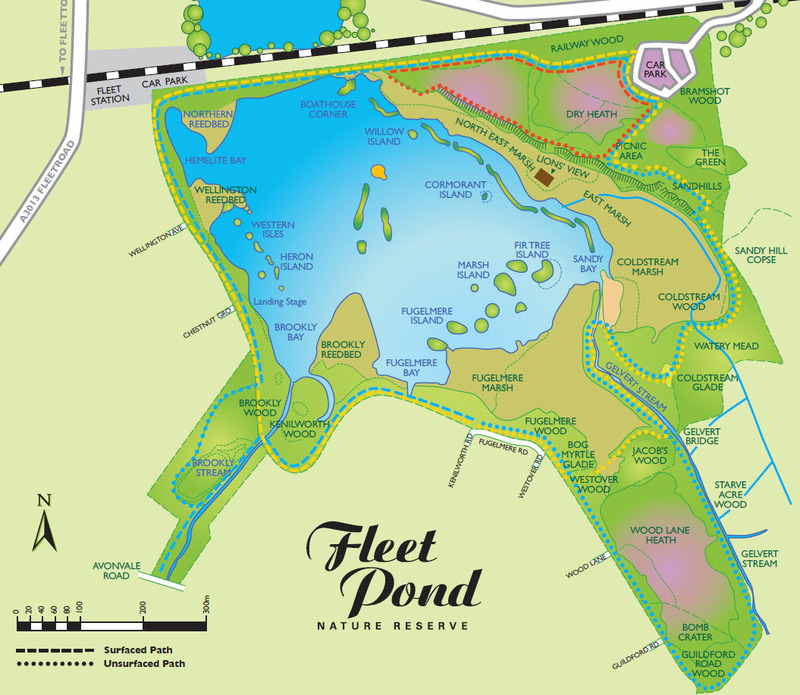 Details of the different walks (short, medium and long) that you can take at the Pond can be found here (and are indicated in the map below). Hopefully the weather will be reasonable! “The task for next Sunday will be more holly clearance along the boardwalk from Sandy Bay to Coldstream Glade. The cut material will be shipped to the Fugelmere Marsh fire site for burning. Weather permitting, we can have a large fire which means that baked potatoes are on the menu, with butter and cheese to choice. As this is the last task before Christmas, you will be welcome to bring along some festive goodies to add to our mid-morning break if you wish. I recommend strong footwear, preferably waterproof, and tough “holly-resistant” clothing. Protective gloves are available. Details of the programme from September 2015 to March 2016 can be found here. 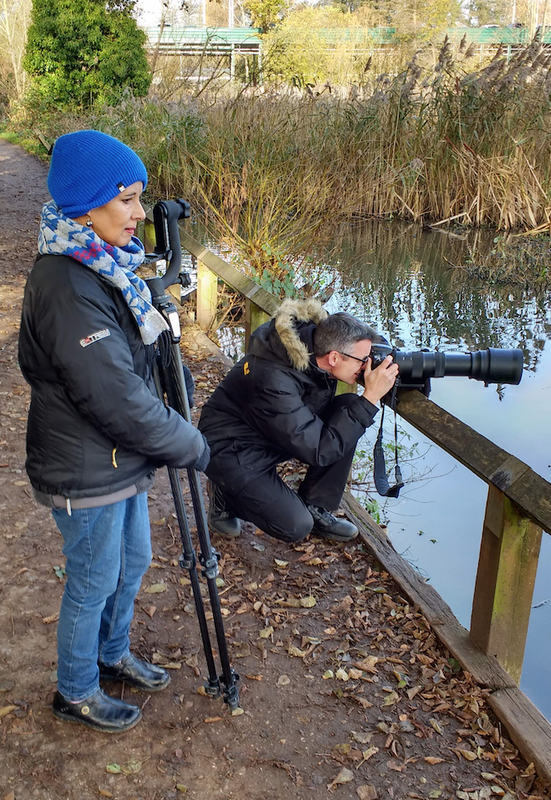 Recently I was walking to the station via the Pond and I came across two visitors from Farnborough (see above) who were doing some wildlife photography. We had a brief chat about their visit and they mentioned that they were especially interested in the cormorants at the Pond. Here is some information on these interesting birds. “The cormorant is designed to hunt fish in deep water. It therefore lacks the natural oils in its feathers that other waterbirds have to give them buoyancy. The bird needs rapid manoeuverability under water and to be able to stay submerged for some time. It therefore has to stop regularly to dry the feathers between hunting trips. This lack of buoyancy also explains why it swims with only the head, neck and part of the upper body above water. Habitually, mature birds return to coastal cliff sites to breed in summer and only young and non-breeding cormorants will be found inland in summer. 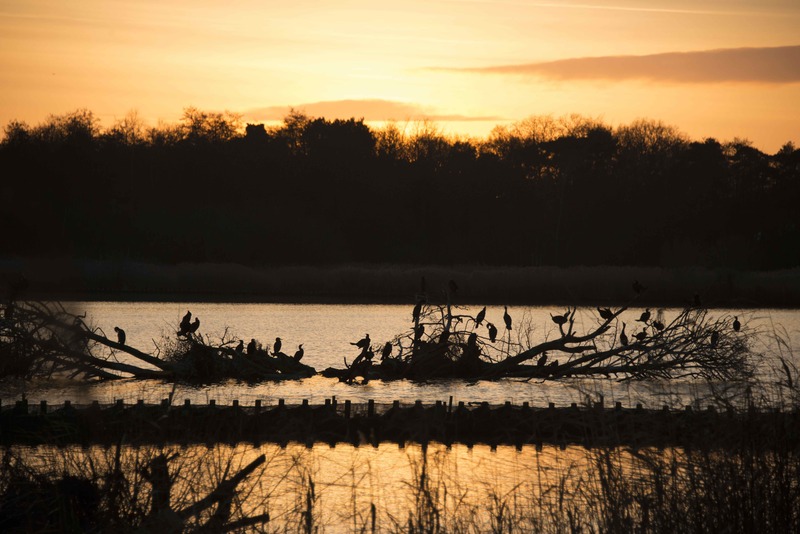 In more recent years, however, the number of commercial freshwater fisheries inland have led to some birds breeding close to these and not taking to coastal breeding sites. 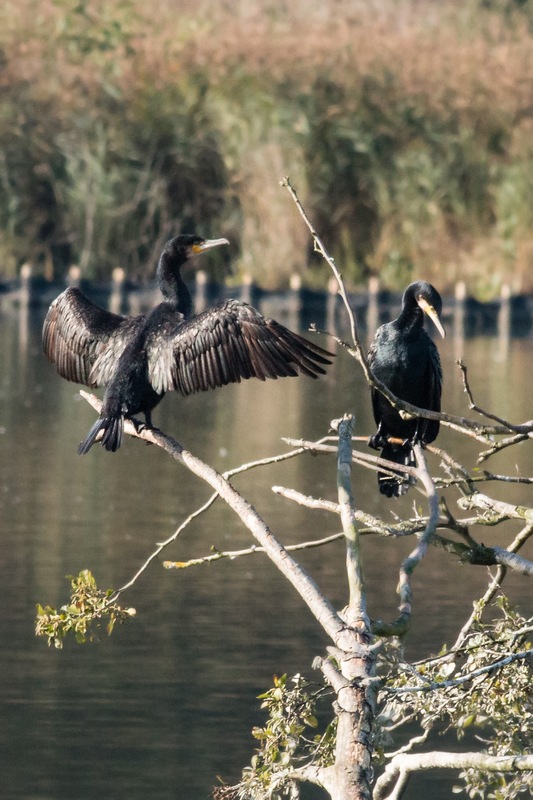 One pair attempted to breed at Fleet Pond on Cormorant Island two years ago and two young hatched. The nest was destroyed however and it is uncertain if the two young survived. Photo credits: with kind courtesy of the mentioned photographers. You are currently browsing the Fleet Pond Blog blog archives for December, 2015.